Tantalus Estate was founded in 2013 on 20 acres of established vineyard on Waiheke Island. Since that date, the venue was closed to the public while they undertook an extensive renovation of the winery building. 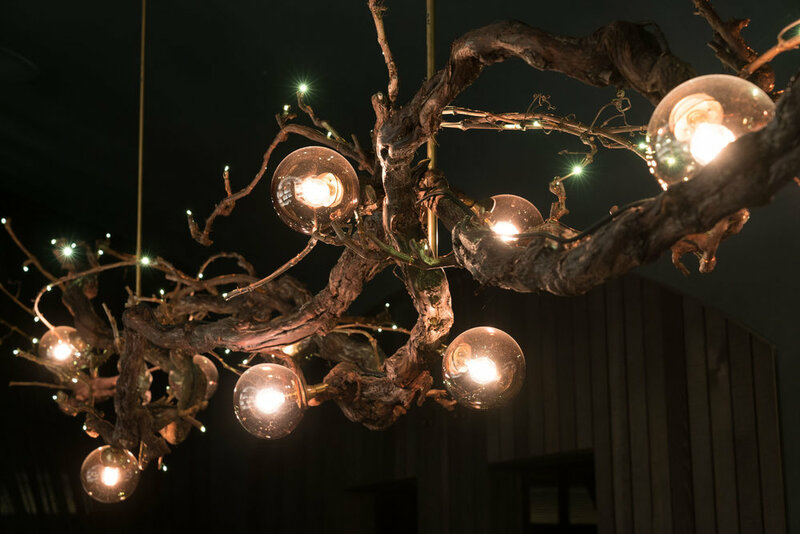 James Russ Lighting and Cheshire Architects’ Emily Priest collaborated to create a wonderland of lighting using organic materials from the vineyard. Two shipments of dried grapevines arrived in trucks to James Russ, which were hand soaked in acrylic sealant, hung to dry and configured into 28 forms. Warmth and intimacy were produced with LEDs placed at the vines’ tips. A mix of organic materials, brass elements and hand blown glass spheres resulted in a whimsical, detailed finish. James Russ was also tasked with creating the winery’s beer taps and towers– hand carved with an angle grinder. Tantalus has since opened their fantastic Estate, located at 70-72 Onetangi Rd, Onetangi, Waiheke Island, Auckland. 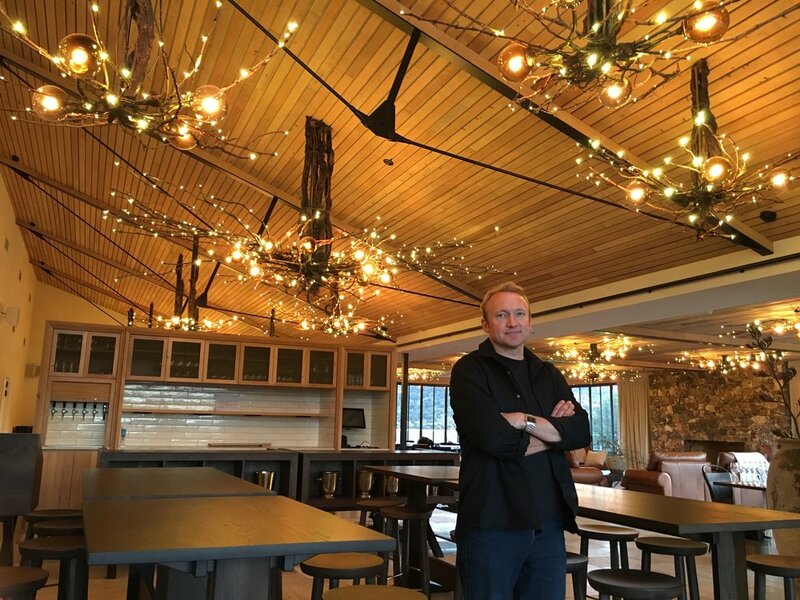 Credit for this sparkling effect is due to James Russ and his team who took sketches from Cheshire Architect, Emily Priest and created these remarkable lights using uprooted vines from the estate and more than 4,500 miniature LEDS, handwoven into the vines with exposed copper wire. Despite the organic material, these are very high-tech lights, with LED drivers hidden within the fixtures and high CRI LED bulbs used to ensure the food looks its best. A skeletal structure of solid brass holds the vines together. To make the junctions for these, Epsilon 3D-printed the mould, then investment-cast them, then poured molten brass into the cavities. This meticulous process gave the parts an aged, textured look. When Epsilon ran low on brass, they bought out all the brass taps at local hardware stores and used those. "They were looking at me like I was crazy," says Russ. "Its a real kiwi ingenuity story really, using basic materials to create fine art." Our journey with Tantalus Vineyard Estate.